The lovely people at Plum Organic baby foods have sent Bert some of their new Yogurt Blends pouches to try. Unfortunately, due to his nasty stomach bug and trip to A&E we had to postpone tasting these new pouches, poor Bert was on a strictly dry foods & rehydration fluid diet for the best part of a week. As soon as he was fighting fit again, and eager to get his chops around some proper food, I whipped out the pouches and he gave them a whirl. Each pouch is suitable for stage one weaning (6 months +), they contain one of your child's daily fruit and vegetable portions, have nothing artificial in them and the flavour combinations are designed to train tiny tasty buds to appreciate a variety of flavours. The yogurt pouches are certified as organic and contain nothing that has been genetically modified. Bert wolfed down all three pouches over a few days. He seemed to really enjoy the thick creamy texture, and especially loved the raspberry/spinach flavour combo. I found the pouches really handy as you can squeeze them straight onto a spoon when you're out and about which saves having messy bowls to wash up-always a bonus! 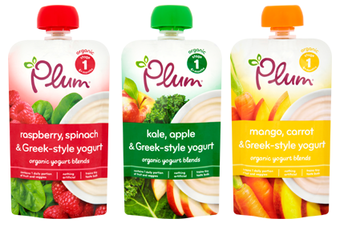 Plum's Yogurt Blends retail at 99p per pouch. Although I do like to make some of Bert's food from scratch, I am totally realistic/practical and know that the quality of the shop bought organic baby foods are so fabulous and allow Bert to try a huge range of flavours that I would find it very hard (and expensive) to encorporate into his diet. Happy mum = happy baby, so for me, shop bought organic baby food is a compromise I sometimes make to ensure I'm not run ragged! As usual, Bert and I are pleased with the quality of Plum's baby products, and were excited at what we might try next! 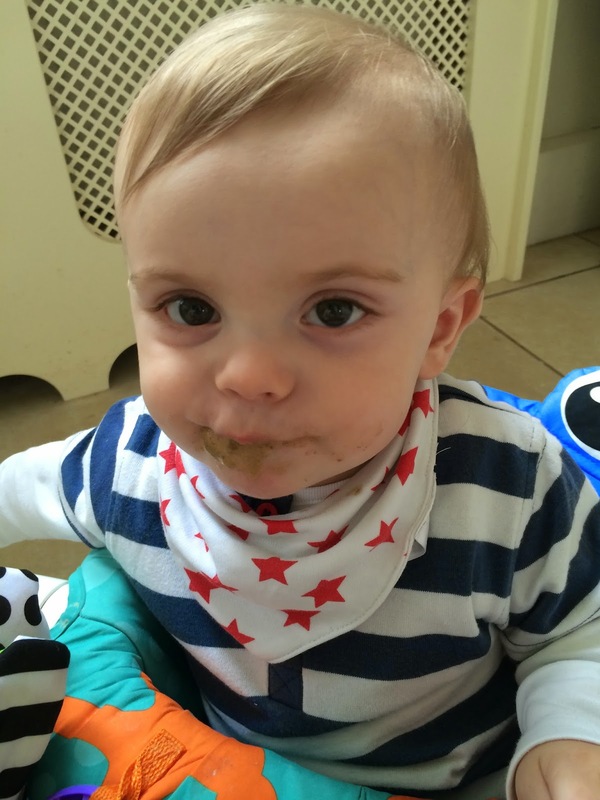 Do you use baby food pouches? 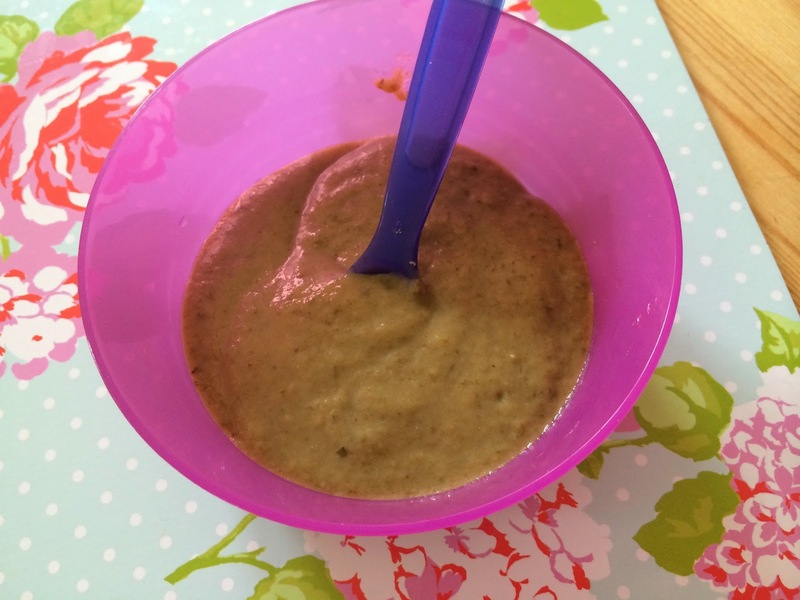 Or do you prefer to make your own baby food? 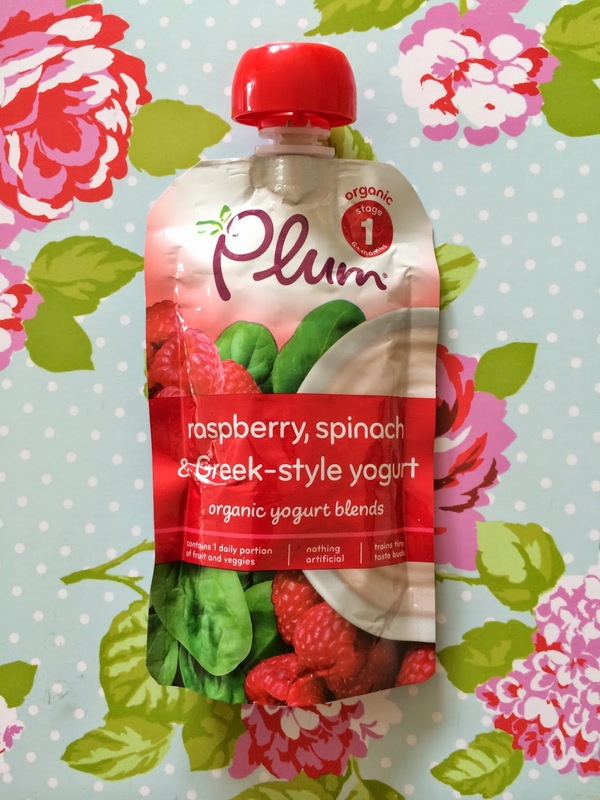 Disclaimer: We were sent some Plum Yogurt Blends pouches for the purpose of this review. All opinions, photos and words are my own.